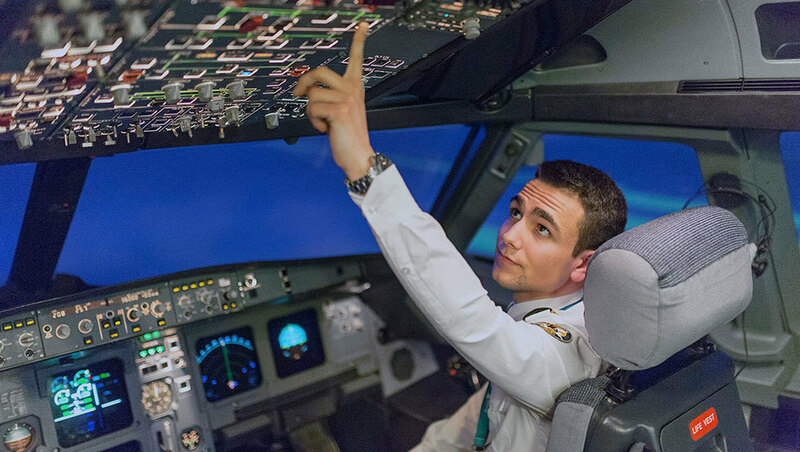 For those seeking a career in the skies, there is now a great opportunity to pursue their dreams. Recently, the market has been filled with positive news – pilot Cadet programs have appeared in the market. There was a time not so long ago when the aspiring future pilots had to pay for their training on their own. Unfortunately, the cost of training was a financial barrier for many of them. However, the market has recently been filled with sponsored Ab Initio Cadet programs, many of you have heard about. In addition, many airlines started to put many efforts by setting up various sponsored Type Rating Training Programs for future pilots. What are those programs? Why are they needed? Type Rating Cadet Program – What Is It? While the possibility to sponsor Ab Initio Program is already known to many future pilots, the question is “What to do for those, who have already conducted their Ab Initio training on their own expenses?”. Fortunately, there is also a solution. With the pilot shortage in a full force, many airlines have set up or are in the process of setting up their sponsored Cadet Pilot Programs. So, if you have already conducted your self-sponsored Ab Initio training, you can apply for a Cadet Type Rating course. Obtaining a Pilot Cadetship with an airline is the most secure way of gaining Type Rating qualification with an employment guarantee from the airline. Even though the majority of Cadet pilot mentored schemes are self-funded, the training is completed having a guaranteed first airline job. In some cases, it is possible to pay less for your Type Rating course, as some airlines have their Type-Rating Sponsorship Scheme (TRSS). It enables pilots to spread the cost of type-rating funding across 2, 3 or 5 years, as it is taken in increments from their net pay. This scheme can remove a financial barrier for those who simply don’t have access to the funds required to complete a Type Rating. One of the airlines, offering such a scheme, is a low-cost carrier EasyJet. As it is stated on EasyJet official website, the scheme was inspired by the need to provide more inclusive funding options, and in turn, hire best candidates. EasyJet says that newly qualified pilots, who are chosen, will have to pay around 25% of Type Rating cost, with EasyJet making up the balance of the bill, which is typically about the rest 75% of the total Type Rating training price. Another low-cost airline, Ryanair, announced funding help for new pilots to fly its aircraft after the airline cancelled flights last year due to the lack of standby pilots. The airline understands that access to finance has become more difficult for Cadets to obtain and they want to take away the financial burden. According to the Ryanair offer, the airline will pay for type-rating training by replacing the cost with a one-off, up from 5,000 EUR payment and a 5-year reducing bond. Furthermore, Ryanair Cadets will be paid a salary for their base training. You can also take a look at the Hungarian low-cost airline Wizz Air, which currently offers different options to obtain the Airbus A320 Type Rating. 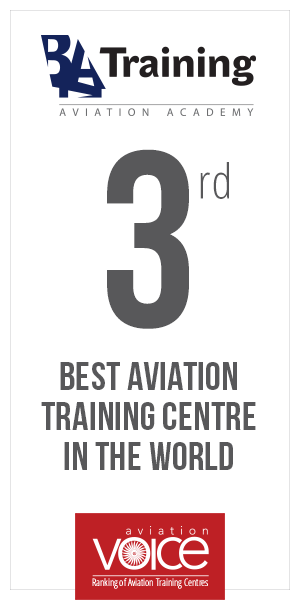 The airline cooperates with different training centres which organize training according to Wizz Air’s standards. Why Do Airlines Need More Pilots? Airlines’ initiatives on various sponsorship programs are mostly driven in response to the unprecedented growth in air traffic. According to CAE’S Airline Pilot Demand Outlook estimations, the numbers of travellers are expected to reach 4.8 billion by the end of 2027 – that is 1.6 billion more than today. With 1.6 billion additional passengers taking to the skies over the next nine years, airlines around the world will be faced with an increasing demand for new airline pilots. To be more precise, 255,000 new airline pilots will be needed around the world over the next 9 years. The figures also mean that over 50% of the pilots who will fly the world’s commercial aircraft in 9 years’ time have not started to train yet. This is how a pilot gap appears – at the current rate of pilots entering the profession, there won’t be enough pilots to operate the aircraft. In other words, the number of future pilots does not go hand in hand with the rise in the air traffic and the industry has been facing a global shortage of pilots in recent years. Despite the enormous growth in the air travel sector, one of the very first reasons for the pilot shortage was the global recession when a high level of unemployment hit air travel demand in 2009. Due to the lower demand for air travel and pilots respectively, many people chose other professions instead of aviation. Therefore, airlines did not have such a high demand for fleet and crew expansion in 2009 as they have now. On top of the growing need for pilots will come the impact in the US of a surge of mandatory age-65 retirements that are expected to peak in 2020. CAE predicts that out of their estimations on the number of new pilots, around 40% of them will be needed to offset the number of future retirees. 180,000 of current captains will retire in 10 years and the same number of the first officers will be promoted to a captain’s position at the same time. The combination of previously mentioned factors has put an additional pressure for many airlines to invest more money and more efforts to keep their aircrafts’ cockpits staffed. The number of programs is growing and will be a key factor in the long-term need for producing pilots. As a result, the airlines could plan the amount of additional fleet over the coming few years and could fill those positions with their Cadet Pilots. Besides that, there are even more benefits for the airlines to sponsor Cadet Programs. In fact, when an airline controls its pilot training, it gets the chance to recognize prospective employees from the beginning of their training course. Furthermore, the airlines could customize their future pilots’ flight training by concluding contracts with training centres or by conducting trainings themselves. In other words, the airlines can train their pilots the way they want them to perform. Moreover, the airlines can develop a life-long relationship with the Cadet pilot and, as a result, to have their cockpit seats filled. Therefore, many aspiring future pilots are taking advantage of global shortage to get a sponsorship for their training. If financing of training is one of the biggest obstacles for a future pilot, many of them could land their dream job more easily with sponsored training programs.